The newest addition to the Wild Goose family, it's such a welcome change to see a microbrewed lager. There are just not enough solid, craft-brewed, domestic lagers. On the nose expect very rich aromatic notes, a bright nuttiness, notes of toffee, caramel, a kiss of brown sugar, fresh wort (unfermented beer), lightly peppery hops in the background, and just the slightest lager-like hint from the lager yeast (it's a very subtle sulfur and metallic note, but perfectly appropriate. This is a normal aroma imparted by healthy lager yeast, so don't freak.) On the palate, look for notes of cereal grains, faint milk chocolate, café latté, just a touch of fruitiness, and chestnuts. Finishes with a wonderful balance provided by mildly bitter hops that coat the back of the throat and tongue and stick around to nicely dry things out. A remarkably well-balanced beer that provides the full flavor of an ale with the drinkability of a lager—the best of both worlds! Kudos to Wild Goose B.C. 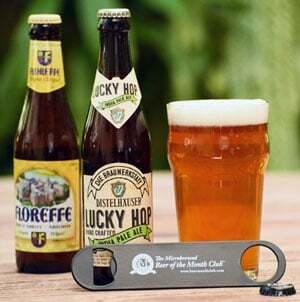 for putting out such a solid, easy-to-drink craft-brewed lager. The brewery recommends pairing with hearty foods like thick, juicy steak, hamburgers, bratwurst, smoked fish, strong aged cheese like cheddar, or, for dessert, walnut cake. We went with the walnut cake suggestion—give it a shot! The Wild Goose Brewing Company debuted in 1989, at a time when opening a microbrewery in the US, particularly on the east coast, was a largely untested venture. It wasn't until the early- to mid-1990s that microbrew fever began to strike the country. The handful of breweries that launched in the 80s laid the foundation for the microbrewers who followed and paved the way for the bountiful selection of craft-brewed beers we enjoy today. So when you enjoy your Wild Goose beers this month, give a toast to the folks who had the guts to bring us all better beer. Wild Goose B.C. 's traditional British-style beers have been recognized as some of the finest east of the Rockies. 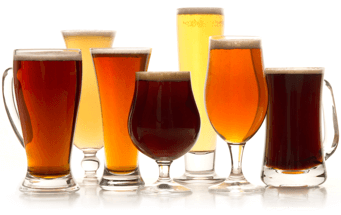 Over the years, they've garnered praise from beer lovers nationwide and overseas. Many of the original recipes created in their early days are still produced exactly the same way today, but they're brewed by a new generation of microbrewing zealots. Their current lineup includes an IPA, Extra Pale Ale, Brown Lager, Oatmeal Stout, a seasonal Pumpkin Ale and Winter Warmer, with plans for a Summer Ale to be released in Summer of 2009. Keep 'em coming fellas! For more information about the brewery and scheduled tours, call (301) 694-7899 or check out their web site at www.wildgoosebrewery.com.